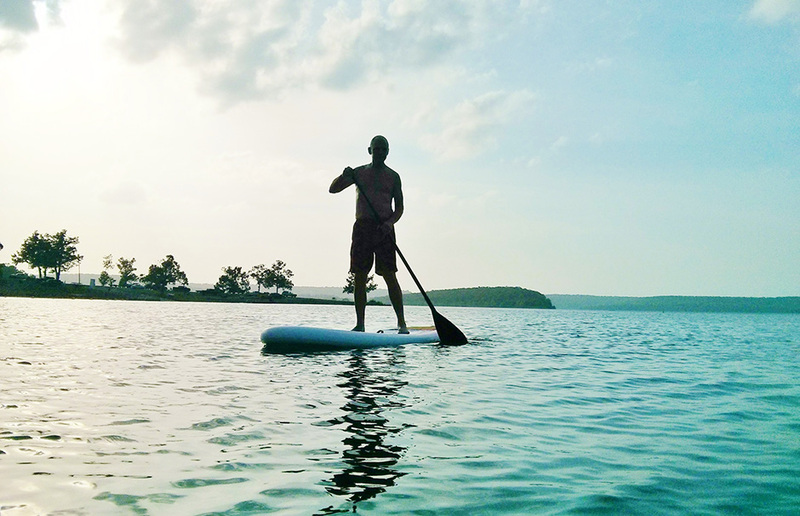 Red Paddle Co has been in the inflatable stand up paddle board game since 2008. They’ve had plenty of time to perfect their craft. The first thing I thought when the Red Paddle Co 10.6ft Ride arrived was first-class. I couldn’t wait to try this board, especially after hearing that it’s the single most popular inflatable SUP board in the world. The board comes in an extremely durable and well designed luggage bag with wheels. It also can be used as a backpack and it comes with a compact high pressure pump. I knew based on my limited research that the board would be easy to inflate, but really had no idea it would be THAT easy. Inflating the board took me less than four minutes – I don’t ever recall inflating a board to 15-25psi and it being that quick. Once inflated the board is extremely durable and rigid. I think having a board that’s 32” in width makes a huge difference. The weight limit on this board is 225, so if you’re pushing that, I would recommend checking out the Red Paddle Co 10.8ft Mega. All three fins are attached to the board. If you have ever lost a center fin, like I have, this is a nice feature. It’s also worth noting, Red Paddle Co has had zero warranty requests on a fin since they started using this system. Red Paddle Co uses what they call ‘TechAir’ technology, which ensures the best build quality. 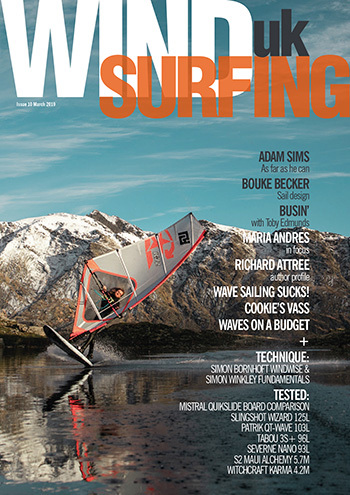 When you roll up the iSUP you can tell by the way it feels there’s a lot going on inside of the board. I tested the 10.6ft Ride out on a river and also a lake and it performed and tracked very well and is great for a whole bunch of paddlers looking to get wet. Firstly I have to admit that I had so much fun out on this inflatable paddleboard. If you have kids, or are a one yourself and like jumping off things, this is the board! If you like Yoga and head stands, this board makes you not worry about falling. When the wind is light it glides just as good as a solid and when it comes to inland waterways and rivers it’s perfect. The obvious benefit is the storage space – it fits into a boot of a car or on a plane with ease (excess baggage would be payable). This is THE original inflatable paddle board. This size is a classic for every type of person, whether it’s kids having fun, a lightweight person doing Yoga or a 90kg guy playing in waves. (Try the longer Explorer or Race for even higher performance). It glides really well (when not windy), it’s bomb proof, it fits in the boot of your car and has very shallow draft (small fins) which is great for exploring rivers. 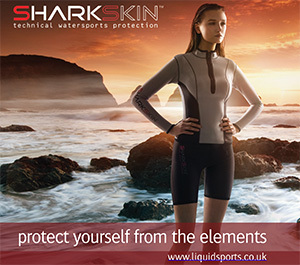 Best suited to under 10 knots of wind for anyone wanting to go play on the water and/or travel with kit. 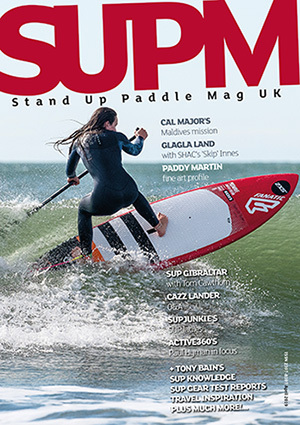 A great all round inflatable SUP that crosses multiple paddling disciplines with ease. 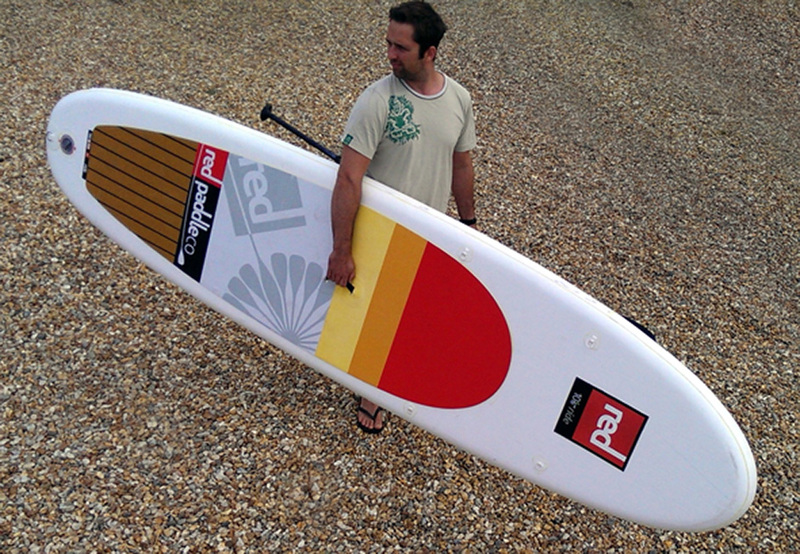 Stand up paddle boarding is all about fun and the Red Paddle Co 10.6ft delivers that in spades!